Documents show that the US planned to train 1,200 special forces troops from Tajikistan. The United States planned a large increase in special forces training programs for Tajikistan, newly released US government documents show. The US also was planning to offer special forces training programs to Kyrgyzstan for the first time since being evicted from the air base it used to operate in the country, according to the new data. The documents show that in fiscal year 2017, the US planned to train 1,200 special forces troops from Tajikistan. Of those, 600 were from the National Guard and a branch identified as "MGSO," and the other 600 were from the Ministry of the Interior's special OMON officers. The numbers were for planned trainings, and it's not clear how many of the trainings actually took place. They were to be conducted under Section 1004 of the National Defense Authorization Act, which allows the US Department of Defense to train and equip foreign security forces involved in counternarcotics and transnational organized-crime missions. This training is conducted by US special forces troops, usually for other special forces troops. It has become the largest US military training program in Central Asia, but tends not to be made public except in annual State Department reports. The newly released documents also show that in fiscal year 2016, 540 troops from Tajikistan were trained. Of those, 340 were from the National Guard, and 170 from the "MGSO." The US also spent about $4.5 million to equip counterterror and counterdrug forces in Tajikistan, under Section 1033 of the same act. That is according to a separate set of documents, acquired by the Washington watchdog group Security Assistance Monitor, which shared the data with The Bug Pit. 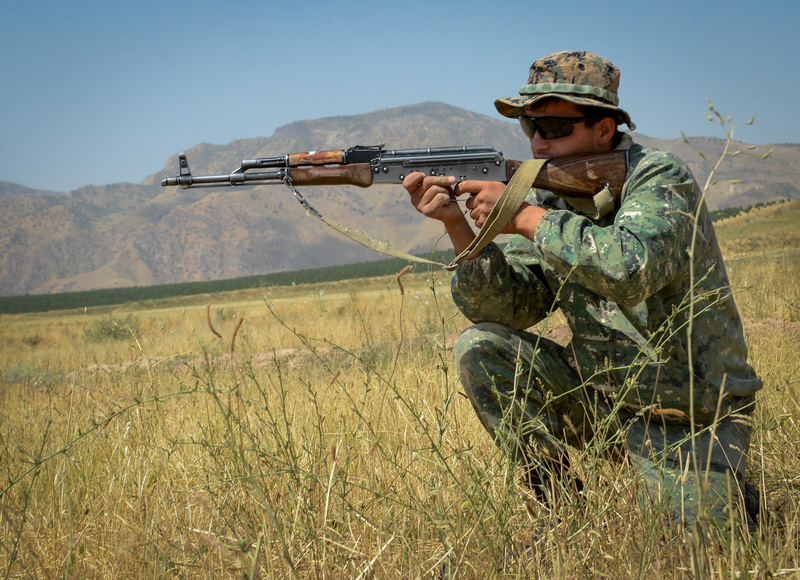 The US also is planning to provide Tajikistan with $12.5 million in military aid under a third program, Section 1206/2282, which is used for training and equipping counterterrorism forces. Of that, $7.6 million was planned for fiscal year 2017 and $4.9 million the following year. The aid is targeted toward "ISR" support, or intelligence, surveillance, and reconnaissance assets. All that data also comes from Security Assistance Monitor, which provided it to The Bug Pit. This would be the first time any Central Asian state has gotten any Section 1206/2282 money since 2009. Since 2013, when the US air base at Manas was closed, Kyrgyzstan has not gotten any of the US special forces training. But that was scheduled to change in 2017, with 50 troops from the state security service (GKNB) elite Alpha units to be trained. In Uzbekistan, 294 special forces troops were trained in 2016, with 300 slated for training programs in 2017. That is roughly equal to the level of training Uzbek troops have received since 2015, when the US resumed the programs after more than a decade of limited military contact with Uzbekistan because of its poor record on human rights. Uzbekistan also received about $3.7 million in equipment for its counterterror and counterdrug forces in 2016. In Kazakhstan, 300 officers from the Ministry of the Interior's Berkut unit were slated for training in 2017. Just eight Kazakhstan soldiers were trained under Section 1004 programs in 2016, but the US spent $3.1 million on equipment for Kazakhstan's special units in 2016. If all of the training programs took place as planned, it would have been the highest level ever of US special forces training in Central Asia. None of the Caucasus states got any special forces training in 2016, nor were any such trainings planned for 2017. Georgia, however, is by far the largest recipient of conventional American military training programs. According to the documents, 3,102 Georgian troops were trained in 2016 under programs aimed at preparing them to deploy to Afghanistan.